Shopping for Disney Wall Murals? 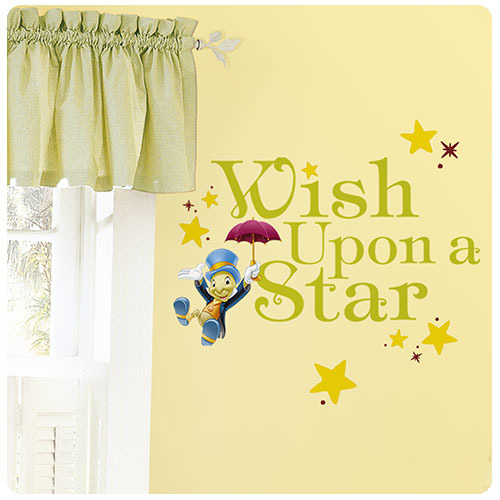 Decorate your child's walls with these classic Wish Upon a Star special value wall decals. These removable and reusable wall decals are great for temporary decorating. Simply peel each pre-cute wall decal from the backing and assemble onto any smooth flat surface. To remove, slowly peel each wall decal from the surface without a trace! When fully assembled, decal measures 23 1/2-inches wide x 14 1/2-inches tall.